Is Your Customer Experience Ready for the Digital Age? With changing behaviours of the customer, fast-evolving technology and social media, how is it possible to maintain customer experience as a core of the business still? Are you as a company ready to explore and experiment till you get the right channel of ascertaining great customer experience? Customer service is the fundamental of providing a good customer experience. With Artificial Intelligence (AI) and Machine Learning (ML) descending upon process and system driven organizations like telcos, areas like speech recognition and deep learning are going to see a vast growth by 2030. While the more predictable questions with even more definite answers would be dealt with the support of speech interface, more complex questions would still require human interaction. Everything that a customer sees hears, touches or knows of a brand is what makes up of the customer experience. Every interaction of a customer with your brand goes towards creating an everlasting relationship with your brand. Knowledge of how the customer is responding with a good feedback drives you towards a competitive edge over your biggest competitors. This is the point where the use of AI and NLP come into being as Artificial Intelligence and Natural Language processing are enablers beyond the realm of human intelligence as well. They tend to put a pattern and study behaviour which is not just objective but curates various subjects together to reach a solution. The customer experience life-cycle is being driven by AI and ML with the examples like Google Home, Siri, Alexa where speech is the medium through which all the work is being handled through these digital assistants. Big telecom companies are transforming their marketing campaigns from being cost intensive to sustainable profit centres through the use of digitization in enhancing the customer experience process. 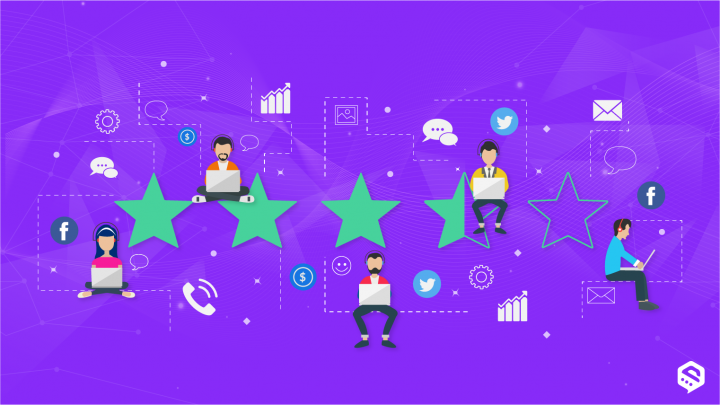 These companies are using predictive analytics to gain real-time insight into potential failures and also equip their call centre representatives with actionable insights to deal with difficult times in customer management. Without sacrificing on the service quality, these companies are able to work towards a profitable goal. Though it becomes difficult to know which customer can make repeat purchases or which would switch to a competitor, predictive analysis is programmed in a manner to provide such information and that too on the real-time basis. Despite the evolution of technology, the key to good customer experience still remains true to data which is of utmost importance. Tracking it, measuring it, making it relevant and then using it, especially in a speech recognition format is where the journey of good customer experience begins. Speech analytics and customer engagement analytics software enable businesses to capture and transcribe all conversations, making them into data bundles which can be utilized for improved customer expectations. While no one tool is sufficient to interact with customers, the need for omnichannel analytics is what makes it easier for companies to capture a customers’ every need from different aspects. Tools such as webchat analytics, messaging apps, social media etc enable engagement from customers in various capacities. It becomes very important for companies to adopt an omnichannel approach rather than a straight line method of providing good customer experience. An Infographic on customer Experience in DigitalAge ! Map the customer journey from the first interaction, to providing information, to purchase and post-sales briefing. Customer experience is still at a nascent stage though certainly the core of digitization. With processes and systems in place for most organisations, the digitization of customer experience throws equal challenges as opportunities. But overcoming the challenges is the only option, or else the organization is on its way to becoming obsolete.